This post may contain affiliate links. Please read our disclosure policy for more information. All opinions, photographs, and videos of the event are ours. 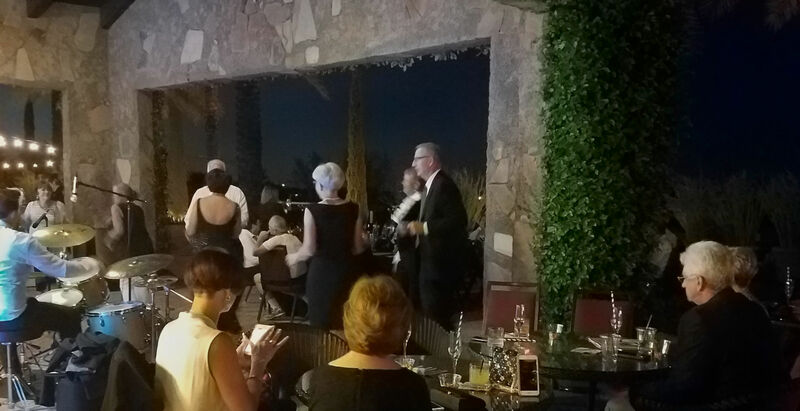 This October we attended the My Trilogy Life Magazine Release Party in San Tan Valley, Arizona. As we walked on the red carpet to the grand entrance we could hear the notes of the swing band echoing through the foyer. This was our first magazine release part and we did not know what to expect. I was excited to get all dressed up in a fancy dress. As this event was black and white formal attire. 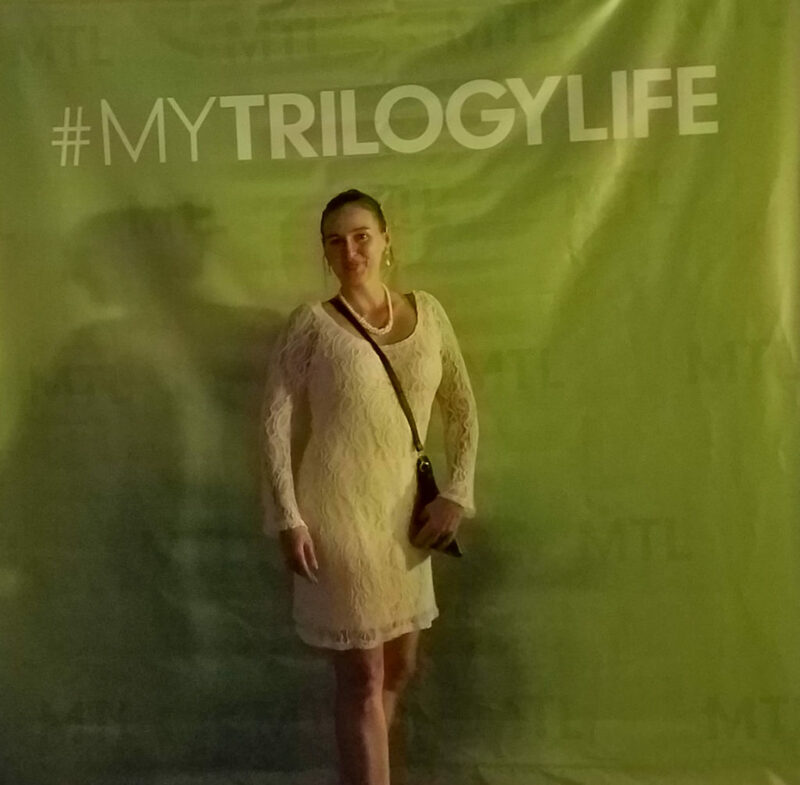 This event was to celebrate that release of the annual #MyTrilogyLife Magazine. Each attendee received a copy of the magazine. The magazine had articles about travel, love, and happiness. The live entertainment caused many people to get up and dance. 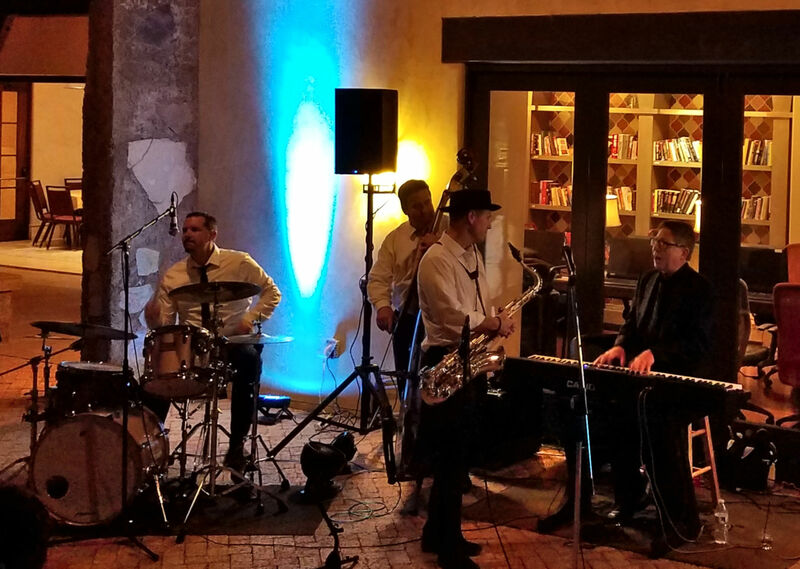 The swing band consisted of drums, saxophone, upright bass, and the keyboard. There were many tables and chairs set up outside surrounding the dance floor. There was a champagne toast and then another champagne toast and then another one. The cute glasses had large straws and the champagne was flowing throughout the evening. The pastry chef amazed me with the desserts. As the waiters brought around many different plates of desserts, it was magnificent to see the color arrangements. They were almost too pretty to eat. Almost…. The magazine release party was a good time. The band and food were wonderful. 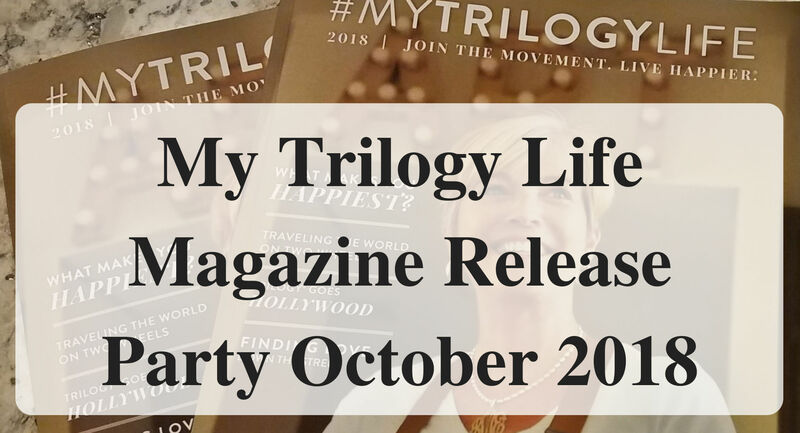 Have you been to a magazine release party? If yes, for what magazine? This is pretty cool. I never heard of magazine release parties. I am from Arizona I would have loved to go. So fun! My Goodness! This looks like such a fun event! Aaah, it’s been a long while since I have dressed up and attended a cool party like this! That sounds so fun! I’ve never been to a magazine release party but would love to attend one! What a beautiful venue! And those desserts……Yum!! Dressing up for a red carpet event sounds like a ton of fun! It was fun to get dressed up. It was a different type of adventure for us. Usually, we are hiking or in the woods. This looks like a fun event, especially with dessert and champaign! I’ve never been to a magazine release party before but you sure make it look like something everyone should try. Oh I’m all in for a dessert and champagne party. What a great release party for an awesome magazine. I have never attended a magazine release party but that looks like a whole lot of fun! I have never been to a magazine release party, but this looks like a lot of fun. The desserts are impressive, they must have a Master Pastry Chief.